I am a big fan of all sorts of teas - herbal, black, white, etc. There's only one type of tea that I do not particularly like and that's green tea. 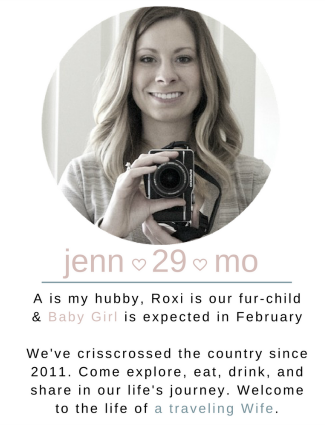 But let's not discuss what I don't like and talk about my all time favorite tea - mint. I've always really enjoyed the aroma and taste of peppermint tea. It's relaxing and comforting to the stomach. 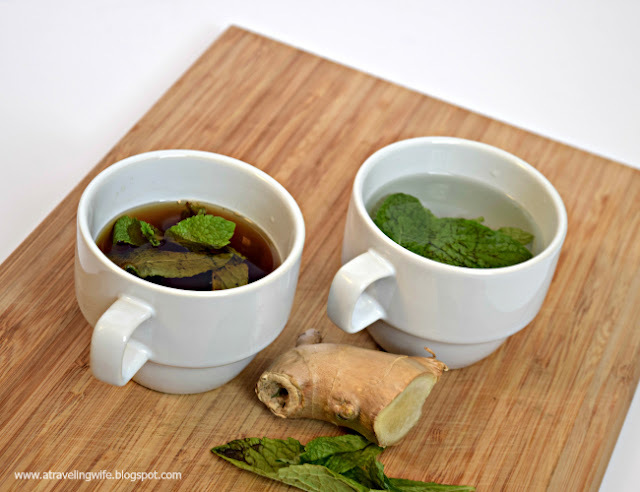 It wasn't until I experienced ginger mint tea a few years ago that my feelings for plain mint tea changed. 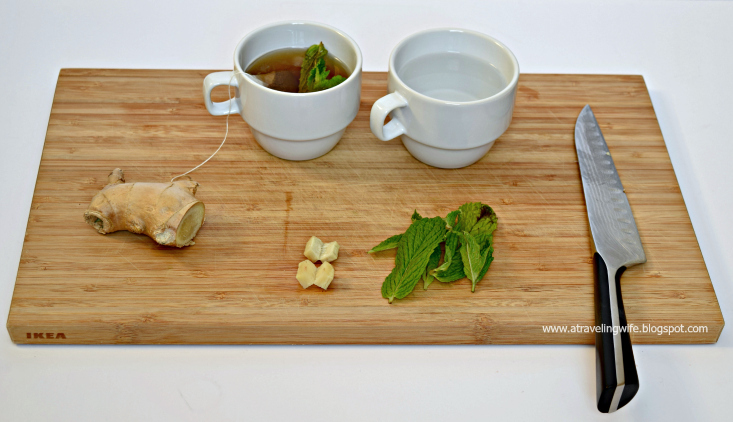 Ginger mint tea is a game changer and can be enjoyed in so many ways. The benefits of ginger are endless. It is probably most widely known for its ability to relieve nausea and other digestive problems. Mint is also known to help with nausea because of it's wonderful anti-bacterial and anti-inflammatory properties. Pair these two delicious items together into a tea and it's magical. Click to tweet: Ginger Mint Tea recipe to help nausea. 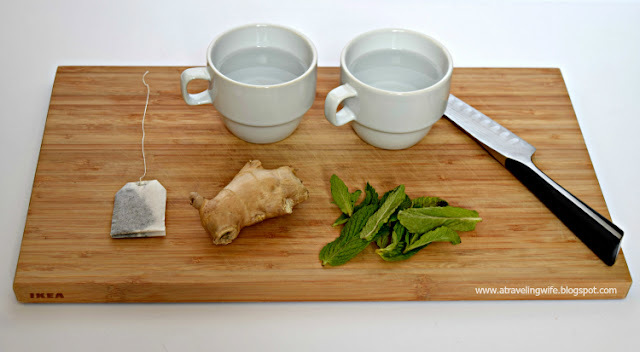 I'm not sure if you knew, but you can steep ginger and mint alone to create a tasty, natural tea. But if you are looking for a caffiene fix, you can add some black tea right alongside the ginger and mint. So grab your two, or three, ingredients - cheers! 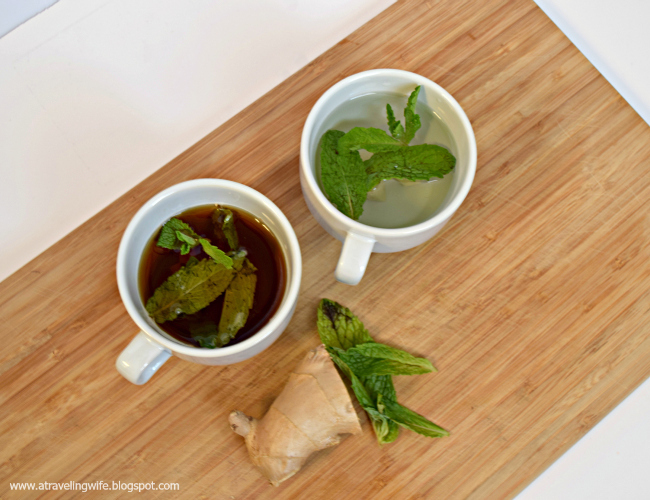 Click to tweet: Try this ginger mint tea one of two ways. Have you ever had ginger mint tea? Do you use any natural remedies to help with nausea?